The Fernkloof Nature Reserve is found just behind and overlooking the small town of Hermanus. 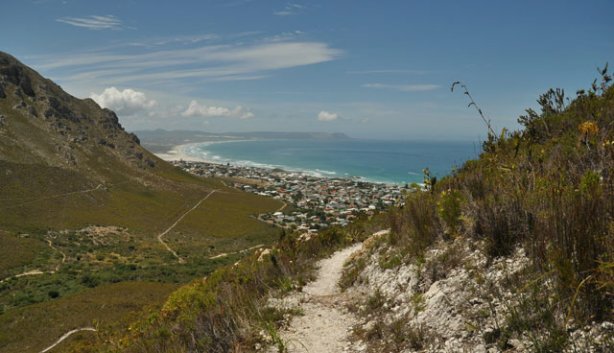 About an hours drive from Cape Town Hermanus is famous for whale watching and relaxing beach holidays. 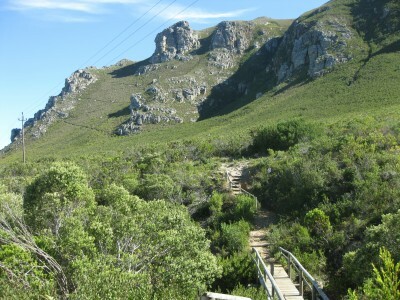 However the mountains behind the town offer some wonderful hiking trails through some wonderful fynbos with amazing views. There are 4 main trails although as they all pass each other and many start and end on the same trailsit is perfectly possible to combine a couple to include specific sights of interest or views to your walk. 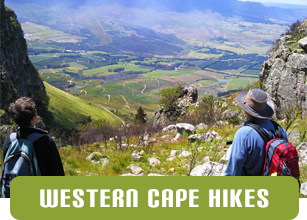 Ranging from an hours gentle amble covering 2.2km to a long tough hike of around 6 hours covering 13.7km. There is something for everyone here. 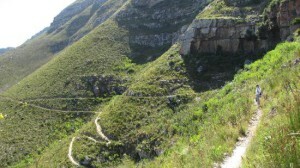 Contact Ridgway Ramblers for details about guided hiking in the Fernkloof area. 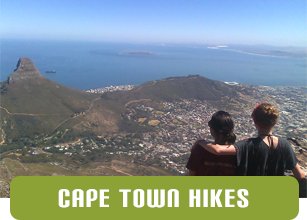 The paths are well constructed and a good variety of easy or challenging hikes are available. The views are quite outstanding. 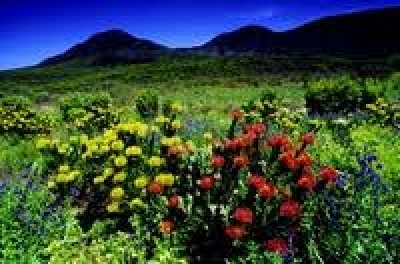 The Fynbos plant kingdom of the Western Cape is the smallest and most diverse in the world. 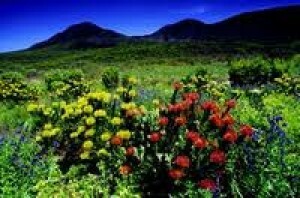 Over 1600 species of the Cape floral kingdom are represented in the reserve with at least 7 of those being endemic. Next time you go whale watching, include a hike in your holiday. 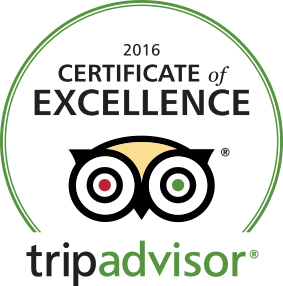 It really is a wonderful experience.